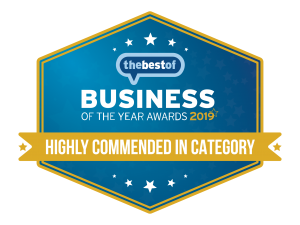 Kully Bath, lead acupuncture practitioner and a certified acupuncturist by the British Acupuncture Council (BAcC), offers acupuncture for patients looking for a solution for their lower back pain, neck pain, headaches, migraines and many other condition. Clients also come to Kully for help with anxiety, depression and emotional traumas. With a special interest in anxiety and sleep conditions, Kully is among those best placed to treat these kinds of sufferings. Book in for a consultation and let her educate you on how general health and well-being can also work to improve your quality of lifestyle. Believing a good night’s sleep to be the key to a healthy, happy life and acknowledging the fact that every individual is different, Kully bath is dedicated to finding the right treatment for each of her clients. If you’re suffering from injury or muscular pain, then a Physio and Sports Medicine center is probably the best place to start looking into treatment. Where persistent pain exists, an acupuncturist can look for the root of the problem in order to heal it. Practitioners often use a technique called Dry Needling which involves needles being inserted into the local tissue as opposed to all over the body in order to directly treat the source of the pain. 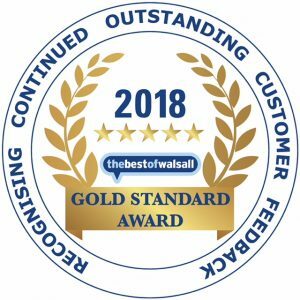 Acupuncture Haven, the leading Acupuncture Clinic in Birmingham has received glowing reviews from their patients in the West Midlands, Birmingham and the surrounding areas. More information can be found at https://acupuncturehaven.co.uk. Acupuncture Haven, based at The Kenrick Centre, Mill Farm Road, Harborne, released a recent video covering a full range of services to treat pain as part of the clinic’s ongoing commitment to providing the best standard of acupuncture treatments for their clients. The clinic is set within a beautiful haven. Kully’s vision was always to ensure the clinical setting is surrounded in nature. Acupuncturist Kully works closely with each client to ensure optimal treatments for both pain reduction and overall well-being. 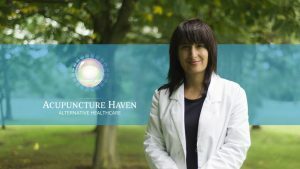 The aforementioned video on Acupuncture Haven Birmingham can be viewed in full at: https://youtu.be/ZvF_8YgoOEU, or by searching YouTube for Acupuncture Haven. Acupuncture has been used for more than 2500 years to prevent and treat pain. Recent scientific research has proved its efficiency in pain management, with practitioners and patients reporting a wide range of additional health benefits, from reduced anxiety and depression to improved sporting mobility and joint function. Kully offers bespoke treatment plans for each patient depending on each client’s needs and preferences and adapted to their lifestyle, dietary and physical exercise choices. Acupuncture Haven is located close to The University of Wolverhampton, Walsall Campus not far from the M6 and within easy reach of Birmingham, Wolverhampton, Sutton Coldfield, Dudley, Lichfield, Tamworth. Certified Acupuncturist and Clinical Director Kully also delivers talks on Acupuncture to various companies nationwide such as AECOM and the Russell Hall Hospital. My wife has regularly been to have treatment from Kully and highly recommends her to anyone who needs help. She is very professional and put my wife at ease during her treatment. It’s not only physically that she has helped- but mentally she is very aware of how you are in tune with your emotions and has helped balance from within. Kully is an excellent practitioner. She has a deep understanding and is able to locate the problem precisely and then works wonders to help eliminate it!! She is kind and compassionate and helps you get back up again internally, mentally and physically. Kully Bath is experienced and trusted by her patients. Don’t hesitate to contact Kully on the number at the top of the page for more information or to make a booking.